Around the tables, the students began debating what materials should go into the filtration systems and the best order for the materials. Adjua Ayoluwa advocated putting larger stones at the top of the system, layering materials by size from there. “Usually when I see filtration systems, the bigger things are at the top so the large sediments can be filtered out first and then the smaller sediments are filtered out at the end,” Adjua said. Another group did the opposite, and a third mixed up the layers, putting rocks on top, then layers of rice, gauze, more rocks and more gauze. They each had their theories about why their designs might work, and at the end of class they poured water through their systems to see whose came out the clearest. (Adjua’s theory seemed to hold up.) The next day, after water had had plenty of time to drain through the systems, the students would test the pH levels for a final determination. 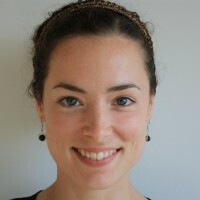 Megan Roberts, executive director of Math for America, a master teacher fellowship program for teachers of math and science in New York City, served as an advisor during the creation of the Next Generation Science Standards. A former middle school science teacher herself, Roberts said the standards create much-needed continuity across grades and science disciplines. 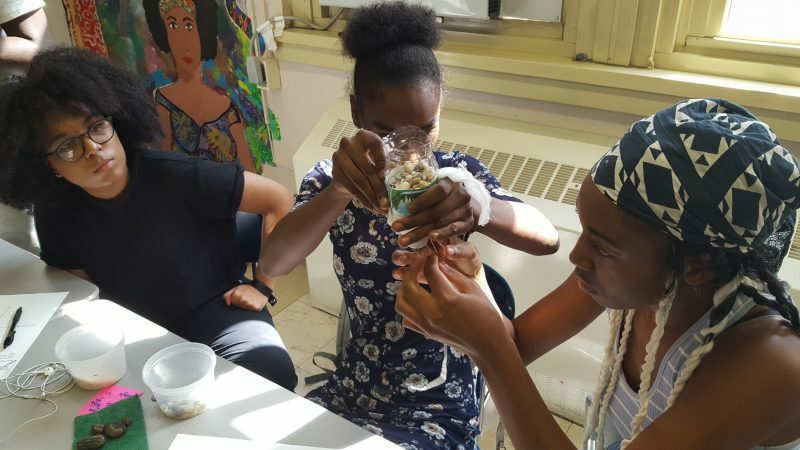 Anglin, who has led workshops for her MƒA master teacher fellow peers seeking to better understand and implement the Next Generation Science Standards in their own classrooms, sees these three elements as critical to boosting student engagement in her class.